Dance Fundraiser Smashes Target, Thanks to Warner Bros.
Peace Hospice Care’s 2017 dance competition, Strictly Come Hospice, has this year smashed its fundraising target, raising over £23,500 so far thanks to participants, those who came to watch and extra funds being pledged by Warner Bros. Studios Leavesden on the night. The competition saw 18 couples take part in seven weeks of dance lessons from professional dancers from Paul Alex dance studios. 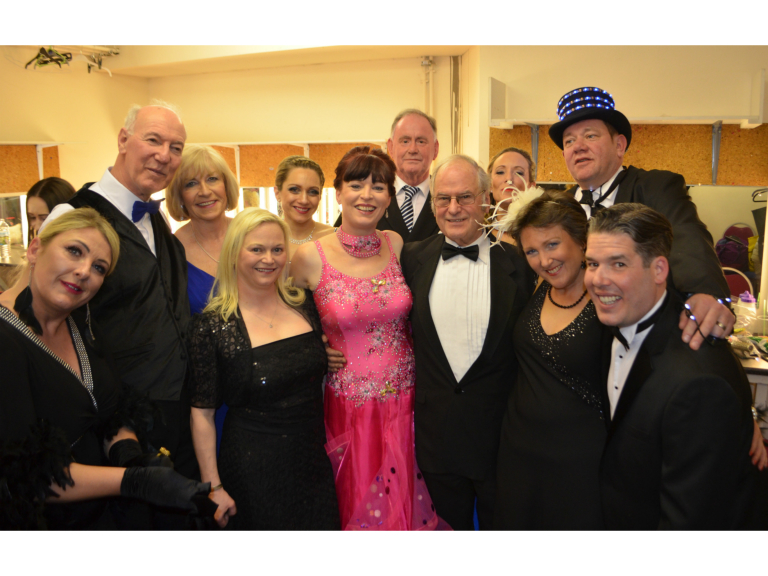 Their efforts culminated in a finale held on Friday 17thMarch, at the Watersmeet Theatre in Rickmansworth, where couples performed the Waltz and the Jive in front of an audience of 500 people. The competition was given an extra fundraising boost by Dan Dark, Senior Vice President and Managing Director at Warner Bros. Studios Leavesden, who was on the judging panel. On the night, Dan pledged additional funds by buying the leather jacket used by contestant David Hibbert who performed a ‘Grease’ themed Jive with his partner Emma Jackson. Dan also pledged funds on the night to boost sponsorship secured. The winners were decided by a judging panel: dancer, Faye Knight; Paul Alex, dance tutor and owner of Paul Alex Dance Studios; Declan Carroll, Peace Hospice Care’s CEO; and Dan Dark, Senior Vice President and Managing Director at Warner Bros. Studios Leavesden. David Hibbert and Emma Jackson won the Jive competition. Chris and Lizzie Luff won the Waltz competition and were also announced overall Strictly Come Hospice 2017 winners. For more information about Peace Hospice Care and their fundraising events please visit:www.peacehospicecare.org.uk or call: 01923 330 330.